After more than four decades together, WHAG-TV and NBC will part. Details of the break have not been made public, but Lauren Skowronski, vice president of corporate communications for NBC, said in a one-sentence email Thursday: "I can confirm that the affiliation is ending this summer." Hugh Breslin, general manager of WHAG-TV, said Thursday night that "we have plans to make a major announcement about exciting changes to our service and programming next week." WHAG-TV, Channel 25, is the only licensed broadcast television station in Hagerstown. 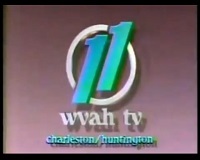 It began broadcasting in 1970. Since its inception, the station has been an NBC affiliate. NBC also owns and operates WRC-TV in Washington, D.C. Hagerstown and the nation's capital are considered to be in the same market, known as a "Designated Market Area," according to the Nielsen ratings maps. In addition to shows such as "Chicago Fire," "Law and Order: SVU," "The Biggest Loser" and "The Voice," NBC provides affiliate stations with sports and national news programs. The network also will broadcast the Summer Olympic Games from Brazil Aug. 5-21. WHAG has passed through several owners during the years. It was acquired by Nexstar Broadcasting Group of Irving, Texas, in 2003. "Nexstar owns, operates, programs or provides sales and other services to 115 television stations and 36 related digital multicast signals reaching 62 markets or approximately 18.1 percent of all U.S. television households," according to its website. Telephone calls and emails to Nexstar representatives were not returned. They're adding more news, but it's unclear whether it's as an independent. In association with the news expansion, Nexstar said it will be investing approximately $1 million to relocate WHAG’s news bureaus, open additional field offices, add over a dozen news and production personnel, develop new on-air graphics and purchase new equipment, weather technology and traffic systems to complement the additional programming. In addition, the station will hire additional marketing and sales personnel to promote WHAG’s suite of multiplatform marketing solutions, including Your4State.com. The expansion will deliver more than 20 additional hours of local news to its new weekly broadcast schedule, increasing WHAG’s locally-produced news, lifestyle, sports, weather and community programming to over 50 hours per week. Hugh Breslin, WHAG VP-GM, said: “Nexstar and our Four State station operations are dedicated to supporting the evolving needs and interests of our local viewing communities, hometown businesses and public organizations. This is a very exciting time for WHAG-TV and our local viewers as this unprecedented expansion will increase our locally-produced news, lifestyle, sports, weather and community programming to over 50 hours per week, with 24/7 access to additional compelling local content online at Your4State.com. “In addition, we will continue to elevate our community service by launching new locally-originated programming specifically for viewers in Maryland, Northern Virginia and throughout West Virginia State. Importantly, the expansion of our news programming under the Your Local News Leader brand reflects our unwavering commitment to delivering superior local news, entertainment programming and exclusive content to local viewers while offering businesses and advertisers unparalleled marketing opportunities across all screens and devices. Broadcast in full HD, WHAG said its multimedia journalists will deliver news from its repositioned news bureaus in Winchester, Va., and Germantown, Md., to better reflect the station’s expanded coverage area, and expects to open an additional office in the Centerville, Va., area in the first quarter of 2017. WHAG studios are currently outfitted with advanced production resources and technologies, including state-of-the-art HD cameras, weather forecasting equipment and locally-themed news sets. However, Nexstar will invest in other equipment and technology resources to support the over 20 additional hours of local news. In addition, the expanded team of journalists will provide viewers with more local news content relevant to the Four States communities through additive and enhanced digital applications with both mobile and desktop accessibility on Your4State.com.